Our outdoor playground features a high-tech irrigation system to ensure the turf remains clean and fresh. Our swimming pool offers a place for your pooch to cool off, while getting even more exercise. 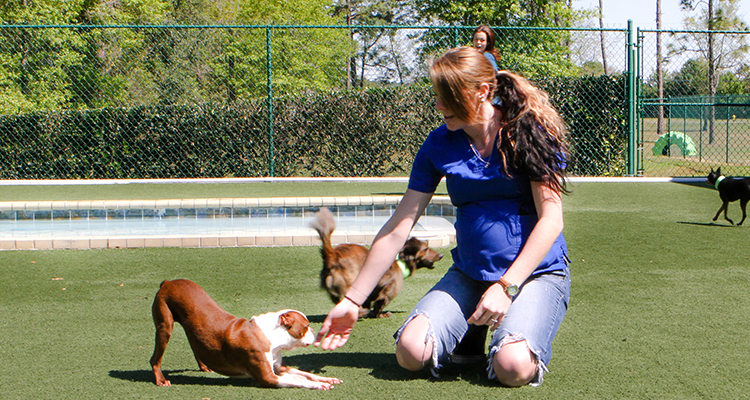 We also feature a secure, shaded dog run area and nature walks with our fitness experts.